This hotel is in need if a serious face lift. It is so old and tired, and it was clearly bland enough when it started! The best thing I can say for it is that the breakfast was delicious and well stocked. The single coffee machine for a large dining room, however, produces nasty coffee and causes a queue! Stayed for two nights as we were attending a wedding at Leeds castle, so a very convenient place to stay. Our room on the third floor was a long way from the lift so not easy to access as we both have mobility problems. With hindsight I should have specified this when booking, but overall a pleasant visit. When we arrived we were given a room which over looked the top of the reception and the rest of the hotel . When we went back to change the room people were given the choice of which room they would like . Then the room we got which had a lovely view . Was very hot with no air con . We called down to reception to get a fan . Didn't get one after an hour called back again . When we did get one it didn't work very well . Had to sleep in a hot room . Not very impressed in the morning . A good overnight stay in a very comfortable room during a visit to Leeds Castle for their annual classical concert. Wanted a relaxing break and that is what we had. Enjoyed the spa and pool, pity the steam room was not working and I found the place to be a bit on the cold side for me. Cannot fault the staff, very friendly, helpful and efficient. 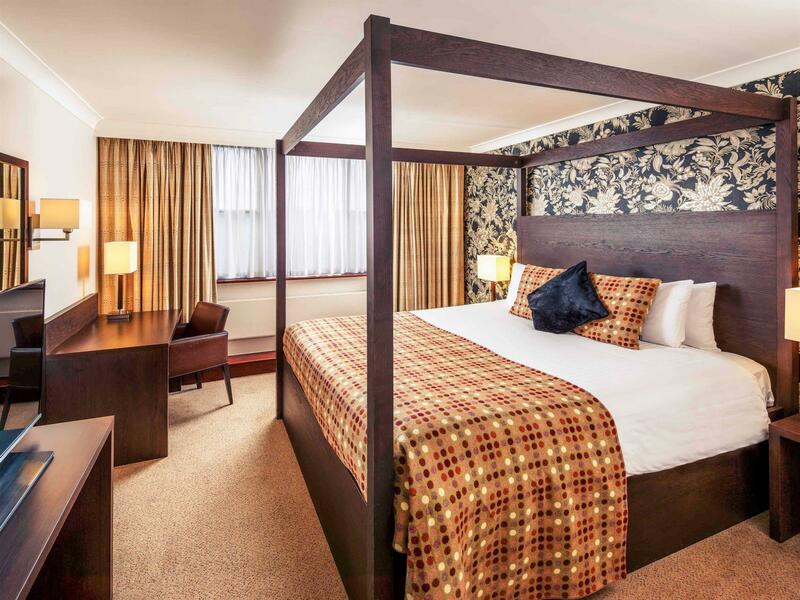 We had a suite and really enjoyed the space and the bed was big and very comfortable. comfortable stay. big bed, room service, nice gym we ordered room service late at night and it came very fast. The stay at the hotel was comfortable, however although we had booked and paid through Agoda the hotel was not aware that we had booked. This led to us having an inferior room to the one we had paid for. Location, fair restaurant and some helpful staff. 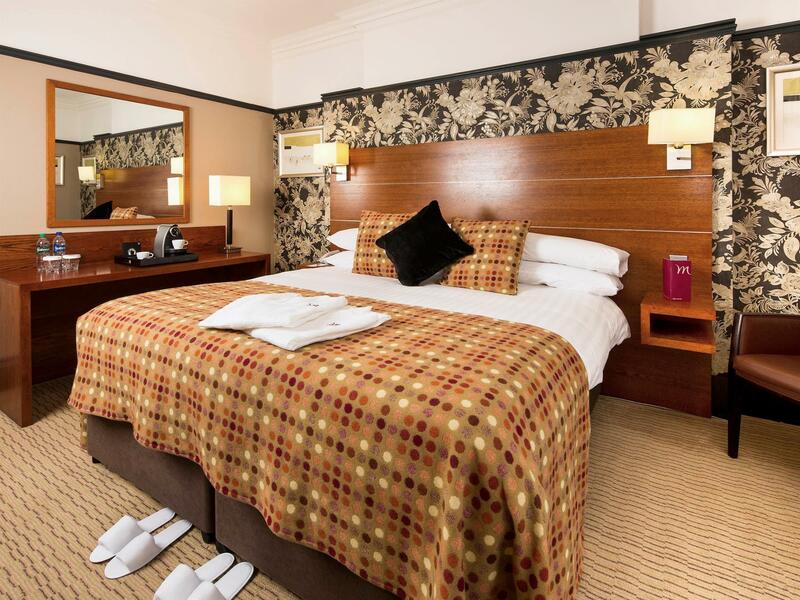 I booked the Mercure Maidstone because of it's proximity to Leeds Castle, concert weekend. And that would remain the best reason to book here. However, the hotel overbooked and we were bumped to another hotel. Free of charge of course, but though it was technically an upgrade (to the nearby Marriot) we were no longer within easy walking distance of the Castle! The hotel itself is okay (nice breakfast) and would warrant 3 stars, but the management service (why didn't they call me or get Agoda to call me *before* we got there?) was not good. Staff performance knocked down due to poor management, not poor grassroots help. Great Location for Leeds Castle access (easy walking distance!). Lack of air conditioning in summer is a problem, otherwise we had a pleasant stay. Could be of better value if free WIFI is thrown in. 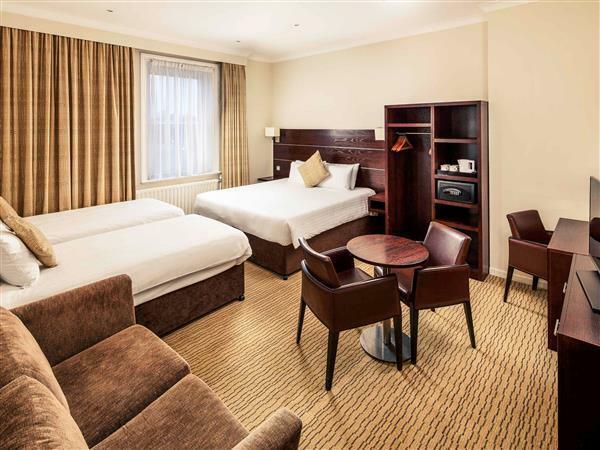 This is a well appointed hotel and we were very impressed with the pleasant and helpful manner of all the staff. The beds were too soft, however, and we had to wait 40 minutes for the main and only course we ordered at dinner. No explanation was given and nothing done till we complained after 35 minutes. The waiter did offer us a free drink in compensation, which was something, though we'd have preferred a meal at the time we hoped to eat. review from a frequent business traveller. overall a nice hotel for the price, staff were pleasant, breakfast was ok although the coffee was quite poor. 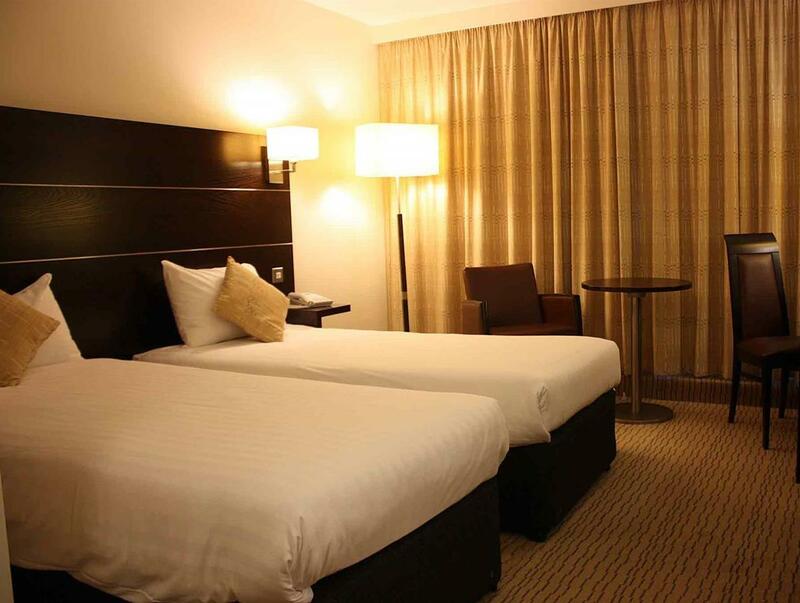 the rooms were better than average, the bed was comfortable and there was no noise to disturb your sleep. the room service menu is the best i've seen for a while for overall choice and price. perfect for getting back onto the a20. no real weaknesses to speak about, perhaps a more varied evening menu would be better. 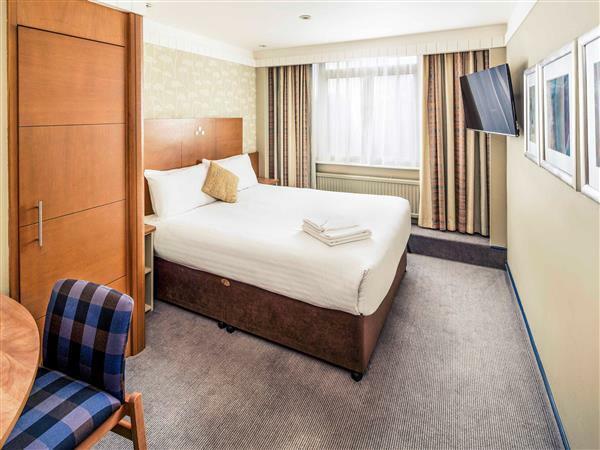 We chose this hotel for its easy walking distance to nearby Leeds castle. The room was available on arriving,and the room was very comfortable. The facilities of the Spa were welcoming after the long drive. The dining room was spacious, and catered for most people. A buffet style evening meal seemed to be most peoples choice, but the alternative menu i feel needs to be expanded. We choose from the alternative menu, and was pleased with our choice. Breakfast was a buffet style, and again this is more than adequate. The staff were all very helpful and friendly. 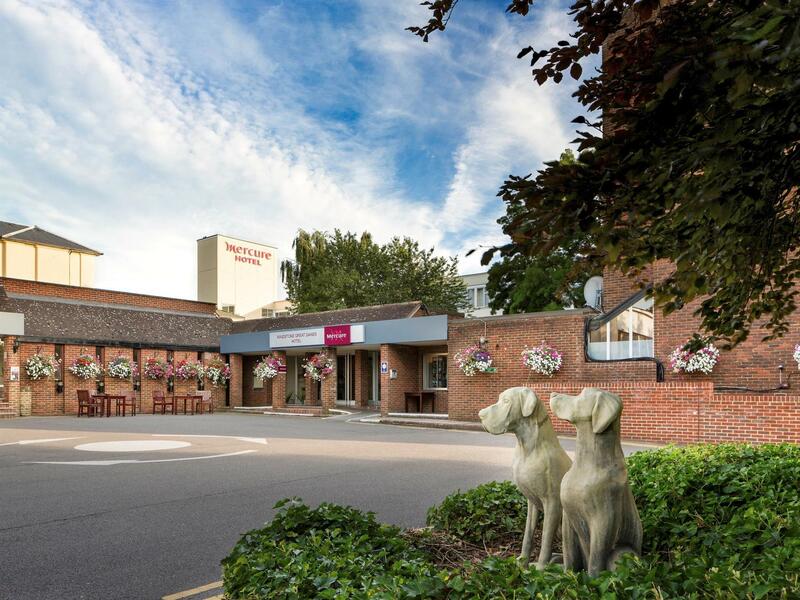 Maidstone's Ramada Hotel And Resort is a very nice hotel, with excellent facilaties. The gym is wonderful and even has free weights (although they do jump from 20 - 35kg), great cardio-vascular and swimming pool. Its a bit of a treck to find you hotel room, but the staff are polite and helpful. My only misgiving is the internet: one day costs more than my monthly home service and is of a lower quality - if you have a long busines trip, buy a satellite and save some money. Oh, and the internet cable is on the other side of the room from the desk!